Prehistoric Week: 10 Things You Might Not Know About JURASSIC WORLD | Warped Factor - Words in the Key of Geek. Geek Dave is the new alpha. In a June 2002 interview with Starlog magazine, Spielberg officially confirmed the fourth film. It was reported that the proposed story would involve dinosaurs migrating to the Costa Rican mainland. A team of experts, including Alan Grant and Ian Malcolm, would chart an expedition to one of InGen's offshore islands and discover the dinosaurs breeding uncontrollably. The plot would involve the characters devising a solution to restrict the spread of the dinosaurs and prevent an ecological disaster, and would include a "top secret" element. It was to act as the final chapter in the Jurassic Park series and would feature several unfilmed scenes from Michael Crichton's Jurassic Park novels. "Keep thinking about that, and in a couple of years go see Jurassic Park 4." "No... I don't know. You know, when Michael Crichton passed away, I sorta felt maybe that's it. Maybe that's a sign that we don't mess with it." However, Jurassic Park just wouldn't go away, and on June 15th 2011 it was reported that Spielberg had met twice with writer Mark Protosevich to work on a new story for a potential fourth Jurassic Park film. In January 2012, Kennedy said a story had finally been settled upon and that work on the script would begin in earnest. It would be another 12 months before Universal officially announced Jurassic World. 3. Before Chris Pratt was cast, Jeremy Piven, Armie Hammer, Henry Cavill, Glenn Howerton, Jason Sudeikis, Josh Brolin, John Krasinski, Dwayne Johnson and Jason Statham were all either considered or linked to the lead role in Jurassic World. At one time, before the final story was settled upon, even Harrison Ford was approached to star. 4. Among the filming locations for Jurassic World were the Honolulu Zoo in Hawaii, and an abandoned Six Flags theme park in New Orleans, where Jurassic World's Main Street was constructed in what was the Six Flags car park. 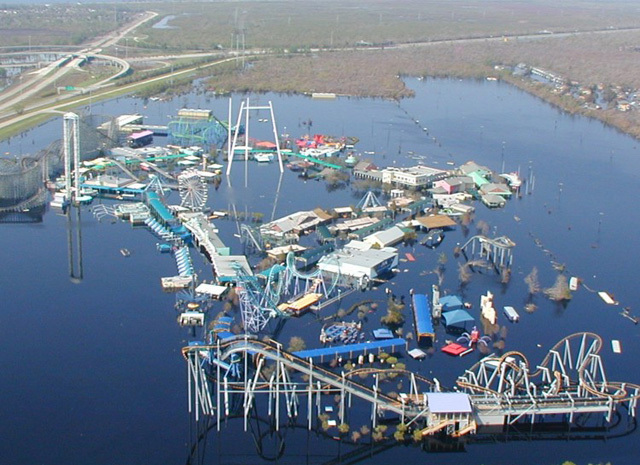 The park, itself, was devastated by Hurricane Katrina in August 2005, plunging much of it under water and making the cost to repair the damage too exorbitant. Now owned by the City of New Orleans, the park has been used for other movie sets, including Percy Jackson: Sea of Monsters, and Dawn of the Planet of the Apes. 5. 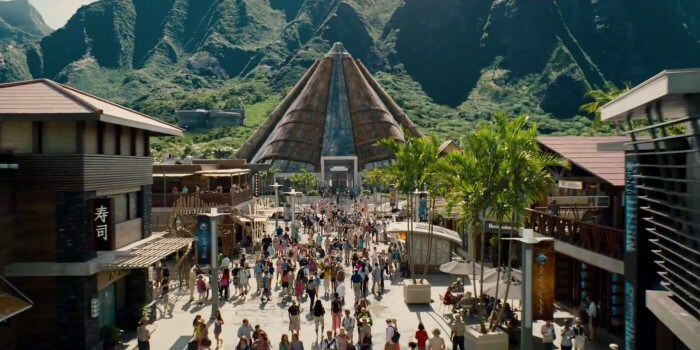 Among the many Easter eggs in Jurassic World, you may have spotted that one of the restaurants in the park is called "Winstons". This was named after Stan Winston, the legendary visual effects artist who helped create the dinosaurs in the original Jurassic Park who passed away 2008. You may have also spotted that Jurassic World's Main Street has a Margaritaville restaurant, but you might not have spotted proprietor Jimmy Buffet playing himself escaping during the pterosaur attack. Also, Jurassic World director Colin Trevorrow provides the voice of the animated Mr. DNA character (previously voiced by Greg Burson in Jurassic Park) and Tomorrowland director Brad Bird provides the voice of the monorail operator. "I didn't wanna make up a new dinosaur and tell kids it was real." 7. Trevorrow also came up with the idea of featuring the Mosasaurus, Jurassic World's main marine reptile. He pitched the idea to Spielberg with the suggestion of having the Mosasaurus feed on a shark in front of a crowd of park guests. Spielberg loved the idea, but suggested that when the animal grabs the shark that the whole bleacher section submerge using a hydraulic system so that the audience will be able to see the Mosasaurus feeding underwater. Trevorrow later revealed that his favourite moment during the filming of the movie was when the Mosasaurus soaked 200 extras in the bleacher section. 8. Jurassic World saw B.D. Wong reprise his Jurassic Park role, that of Dr. Henry Wu, meaning that all seven of the main characters who survived the original Jurassic Park back in 1993 went on to appear in 2 Jurassic films. Ian Malcolm, John Hammond, Tim, and Lex all appeared in Lost World: Jurassic Park, while Alan Grant and Ellie Slater were both in Jurassic Park III. 9. 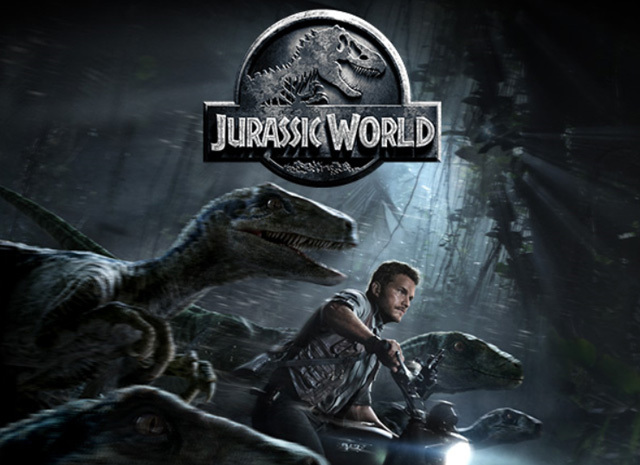 Jurassic World set a box office record during its opening weekend, becoming the first film in cinematic history to generate over $500 million in ticket sales over a single weekend. It went on to become the third-highest-grossing film of all time in both North America ($652.3 million) and the world ($1.669 billion) during its theatrical run. 10. 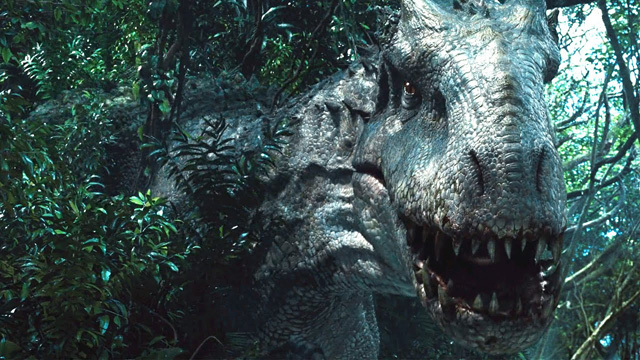 According to Fandango, it would cost approximately $23,432,400,000 to build a real life Jurassic World. The park itself would cost $1,500,000,000, plus an estimated $10,000,000,000 to purchase an island off the coast of Costa Rica with 66 square miles of land (22 square miles for Isla Nublar and 44 square miles for Isla Sorna). It would cost about $8,000,000 for a research and legal team, $9,000,000 to get dinosaur DNA and $8,500,000 to clone dinosaurs from it. Employees and operating expenses would cost over $11,000,000,000 a year ($32,000,000 per day). The dinosaur food would cost over $200,000,000 a year, which brings the annual operating expenses to $11,907,000,000.